Imagine…Your Day, Only Better. Think Well, Feel Well, Live Well. 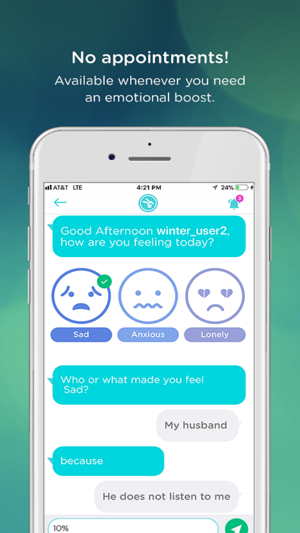 Start feeling better with Precipeace, a stigma-free, private, and convenient way to overcome wellness blockers such as anxiety, depression, stress, phobias, difficulty paying attention, anger, and more. Precipeace is a two-step program focused on helping you reshape your thought patterns so that you can reach and stay on a path of well-being. 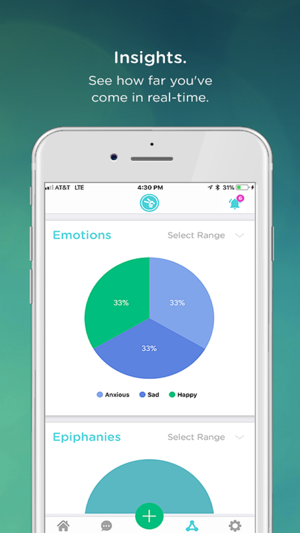 Our solution focused process was created by a team of experienced mental health professionals, doctors, and behavioral technology specialists. It is designed specifically to be simple, safe, and convenient. 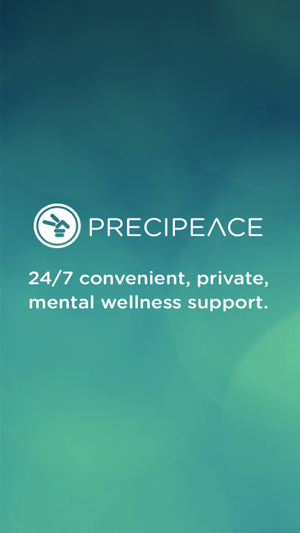 Precipeace was created by a team of passionate technologists, psychologists, psychiatrist, doctor and positive psychologist. 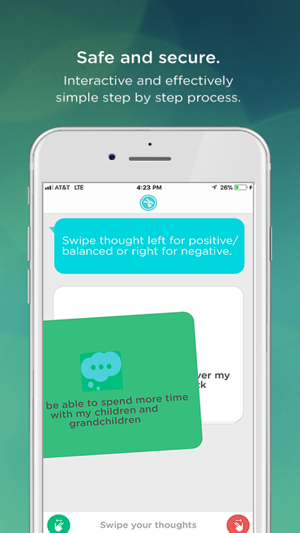 Precipeace combines effective journaling and 24/7 support from personal mentors to help you establish a healthy coping method to put you in control of your thoughts, so that you can move past them and on with your life. Step 1 of this two-step process starts with Discovery. Your Discovery is a step by step online journal designed to help you identify your emotions and combat the negative thoughts that underlie them. Therapists have used journaling as an effective tool for years. The Discovery process makes journaling SIMPLE, and FUN by helping you explore and transform negative thoughts into positive actions. The goal of the Discovery is simple – to help you reach that “Aha” moment that changes your patterns of thinking so you can change the way you feel – for the better. This process is based on the principles of Cognitive Behavioral Therapy (CBT), which is a proven goal-oriented psychotherapy treatment that takes a hands-on, practical approach to solving your most difficult problems. You will discover all kinds of hidden triggers and thoughts that have been dragging you down during your Discovery – and we want to make sure that you use this information to make the changes needed in your life. 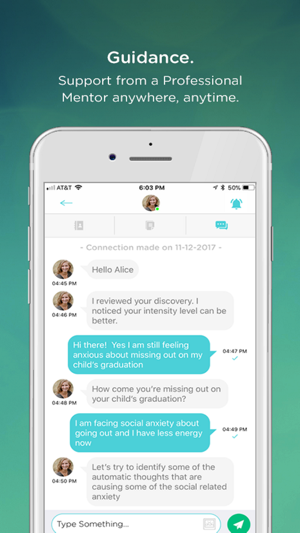 In Step 2, you will communicate with your own personal mental health mentor. Your mentor will listen to you, regularly review your Discoveries, and provide you with the support and guidance you need on your journey to achieve and maintain happiness. A mentor is always available to lend you an empathetic ear when you need one – to hold you accountable, so you never have to feel like you are going through your suffering alone. …and many more personalized techniques! - An experienced, professional wellness mentor assigned to you. No appointments ever. The Precipeace app is free with a paid subscription to the Precipeace online solution.